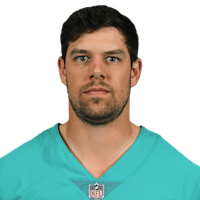 The Dolphins waived Petty (oblique) from injured reserve Tuesday, Dennis Waszak Jr. of the Associated Press reports. Analysis: Petty was claimed off waivers by Miami in May, but failed to beat out Brock Osweiler and David Fales and was subsequently put on IR with an oblique issue. Petty is now free to sign elsewhere, though the list of potential suitors may be in short supply. The former fourth-round pick in 2015 has completed just 53.1 percent of his passes and has thrown 10 interceptions in 10 career games. Petty (oblique) has been placed on injured reserve, according to the league's official transaction log. Analysis: Petty, who almost exclusively worked with the third-team offense throughout the summer, has been dealing with an unspecified oblique injury for roughly a week. The Dolphins will move forward with a combination of Ryan Tannehill, David Fales and Brock Osweiler at quarterback. Petty (oblique) didn't participate in Thursday's practice, Adam H. Beasley of the Miami Herald reports. Analysis: Petty is battling David Fales and Brock Osweiler to be Ryan Tannehill's backup, so getting healthy for Saturday's exhibition game against the Ravens is crucial for his chances. The fourth-year pro has completed nine of 13 passes for 111 yards, one touchdown and one interception through two preseason games. Petty was claimed off waivers by the Dolphins on Friday. 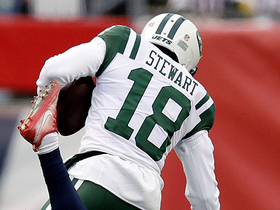 Petty will be waived by the Jets on Thursday, Manish Mehta of the New York Daily News reports. Petty is being mentioned in trade talks after the Jets selected quarterback Sam Darnold in the first round of the draft, Ian Rapoport of the NFL Network reports. 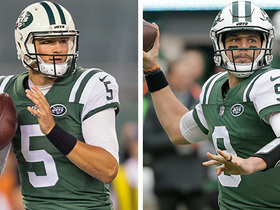 Analysis: The Jets now have five quarterbacks with Darnold on the roster, and teams usually only carry four of them during the offseason. It isn't clear what sort of compensation New York could receive for Petty, but the asking price doesn't figure to be much. In three starts to conclude the 2017 season, Petty completed 51.5 percent of his passes for 530 yards (5.14 YPA), one touchdown and three interceptions. Petty could be cut this offseason, NorthJersey.com reports. 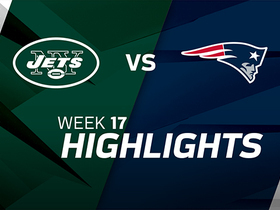 Petty completed 19 of 36 passes for 232 yards during Sunday's 26-6 loss to the Patriots. He fumbled during the contest. Analysis: The fact that Sunday's ho-hum performance was Petty's best of the season from a rating, yardage, and yards-per-attempt perspective tells you all that you need to know about the Baylor product. In seven occasions for extended playing time in two seasons, Petty has yet to reach a quarterback rating of 80. He figures to be no more than a backup next season. 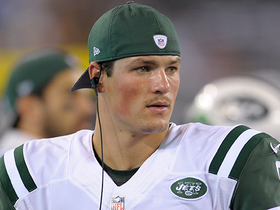 Petty is still in line to start Sunday's game in New England, but Jets head coach Todd Bowles acknowledged that Christian Hackenberg might also get some playing time, Rich Cimini of ESPN.com reports. Analysis: The possibility of a mid-game replacement further dampens Petty's outlook for what's already a difficult matchup. Petty hasn't looked the part of a viable NFL quarterback this season, completing only 36 of 76 passes (47.4 percent) for 312 yards (4.1 YPA) with one touchdown and three interceptions. Head coach Todd Bowles said after Sunday's 14-7 loss to the Chargers that he intends to utilize Bryce Petty as the starting quarterback Week 17 at New England, Darryl Slater of NJ.com reports. Petty completed 15 of 28 passes for 119 yards and an interception while adding 33 yards on three carries in Sunday's 14-7 loss to the Chargers. Analysis: Petty still doesn't look remotely NFL-ready. The 2015 fourth-rounder was intercepted by Chargers wide receiver Keenan Allen on a Hail Mary to end the first half, bringing his career touchdown-to-interception ratio to 4:10. Things could get ugly for Petty next week in New England if the team doesn't opt to try 2016 second-rounder Christian Hackenberg instead. Petty has already been named as the starter for Week 16 against the Chargers, Ralph Vacchiano of SportsNet New York reports. Analysis: Petty got his first start of the year in Sunday's 31-19 loss to the Saints, completing 19 of 39 passes for 179 yards with a touchdown and two interceptions. While the stat line obviously wasn't impressive, he unexpectedly helped the Jets make a game of what was widely viewed as a likely blowout. Jets brass apparently doesn't have much interest in taking a look at Christian Hackenberg, a 2016 second-round pick who was vastly outplayed by Petty this preseason. Petty completed 19 of 39 passes for 179 yards, a touchdown and two interceptions in Sunday's 31-19 loss to the Saints. He also rushed twice for 16 yards. Analysis: The Baylor product completed just half of his 14 pass attempts in the first half for a mere 46 yards, and the touchdown came late in fourth quarter with the Saints playing back to protect a two-score lead. The second-year pro's line wasn't as bad as it looks, however, as the first interception came off of a deflection, and the second was a Hail Mary on the final play of the game. He will have an even tougher test in Week 16 at home against the Chargers. 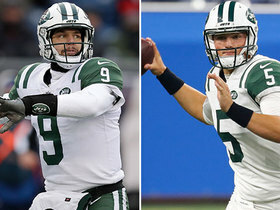 With Josh McCown (hand) ruled out for the season, Petty will take over as the Jets' starting quarterback, Jason La Canfora of CBS Sports reports. Jets head coach Todd Bowles said Petty will take over as the starter if Josh McCown can't play with a broken left hand, ESPN.com's Rich Cimini reports. 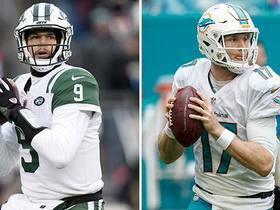 NFL Network's Mike Garafolo explains why the Miami Dolphins claimed quarterback Bryce Petty off waivers. New York Jets wide receiver ArDarius Stewart hauls in 46-yard catch. 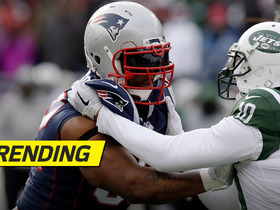 New England Patriots lineback James Harrison sacks New York Jets QB Bryce Petty to close game. 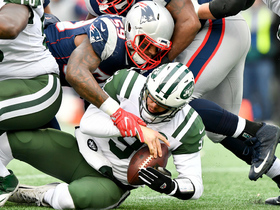 Patriots envelop New York Jets QB Bryce Petty for big third down sack. Linebacker James Harrison makes first tackle as a New England Patriot. 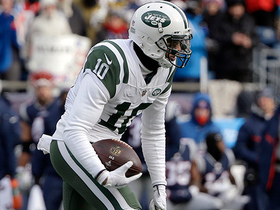 New York Jets wide receiver Jermaine Kearse gains 24 yards on the catch-and-run.